The price of mooncakes is increasing each year. More than RM10 just for a piece of mooncake. Therefore, it is not surprising that more and more people prefer to try making their own mooncakes. Question is where to get the supply? Let me share with you…. Our family have been making mooncake for years- not for sale but to be distributed to friends and family. We only make the traditional ones: ‘kam thui’ and lotus paste. The part on lotus paste is not easy to cook- but for us, we cook everything from scratch. To learn how to make mooncakes, you have some options- you can find out if there are classes being held at your area. Usually you can ask baking suppliers like Bake with Yen about the classes. Or…there’s always YouTube…just perform a search “how to make mooncakes” and you have it. 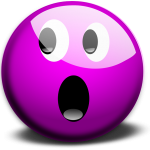 But one thing though….generally even if you pay for the classes, the instructors would not share everything with you. Somehow even if you follow the instructions, your mooncake would not turn out like those being sold at the store. There would be ‘something’ missing. Still, by starting and learning through trial and error- with time the taste would improve. Where to get mooncake raw material and supplies? You may also inquire with them if they have mooncake baking classes available. In Petaling Street, Kuala Lumpur near Jalan Sultan, there is this shop- known as Chai Huat Hin located at 152 Jalan Tun HS Lee, 50000 Kuala Lumpur (website: www.chaihuathin.com). The Chinese pronounciation it is pronounced as “choi fatt heng”. This shop is located opposite a pet shop supplier in Petaling Street area (not far from Popular bookstore). 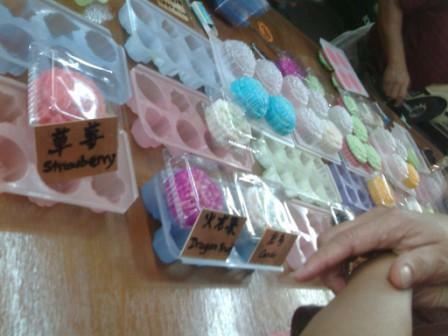 If you ask around It sells fresh supply of mooncake materials and the shop next door sells the wooden moulds. However the last we checked, some items are cheaper at Bake With Yen like walnuts and almonds. And on non mooncake festival time, they would sell colourful konnyaku jelly. Cost is not high but profit margin is very good. I have eaten jelly mooncakes before ….I love them but to me, they are like jelly being made in mooncake moulds- and tata….the usual jelly in a mould are now….jelly mooncakes. Whether you are trying to learn to make them, I hope you would find the resources useful for you. Hi do you sell mooncake boxes that comes together with the paper bags? Any pictures to show as I’m looking for between 500-1000pcs. Nope, I am just a blogger. However, you can contact the baking supply stores like Bake With Yen or Chang Tung for the pricing. In the past we had brought from Bake with Yen and also from a shop in Petaling Street called Chai Huat Hin at 152, Jalan HS Lee, 50000 Kuala Lumpur (tel 03-20267668).